Where is the information? With this initial question, three organizations embarked on an exhaustive survey, a little more than six months ago, to systematize data on public purchases of medicines. The primary objective of the project, called At what price and supported by Altec, was to compare the costs of certain drugs procured by the Ministry of Health, the city of Buenos Aires and the Department of Social Work for Retirees and Pensioners. The answer to the question was not simple, but it made us think about the importance of establishing open contracting standards that allow quick, easy access to data. 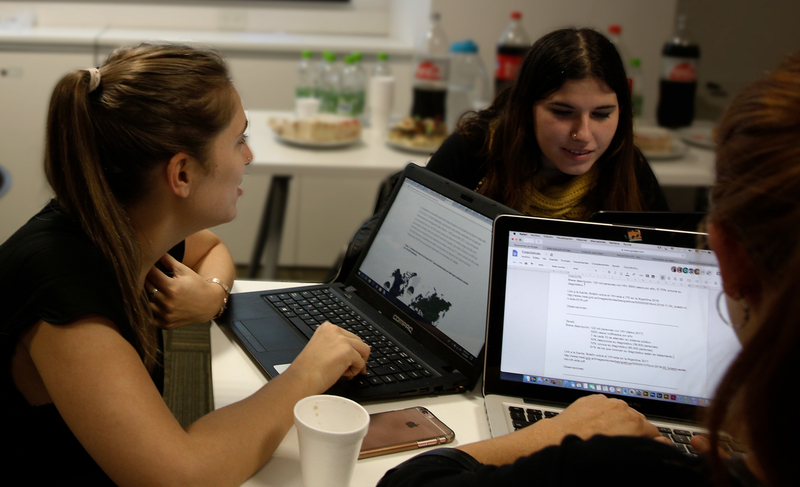 At Chequeado, Asociación Civil por la Igualdad y la Justicia (ACIJ) and La Nación Data, we believe that sharing our experience helps to promote changes in processes and improve public policies. So, in this post, we’ll describe some of the challenges we faced and how we solved them. Scattered and incomplete information: During the survey, we discovered that medicine purchases were published across different government sources: the official public contracting website, websites of the ministries, and even government progress and accountability reports. Some of these sites contained information that did not necessarily appear in others. Different publication formats: The files were available in PDF, Excel and Word documents, or CSV. Part of the most relevant information also appeared online as scanned images. Lack of standardization of contracting data: Vague descriptions of purchases in some cases (such as “various medicines”) and more specific ones in others (names of drugs or their commercial brand names) made it difficult to identify the medicines that we wanted to analyze during the project. The text used to describe the purchase depends on the user who enters the data and not on previously established categories. Highly technical information: The system through which purchases are made, the types of processes and the public procurement regulations all use complicated language. Restructuring the data was time-consuming: The challenges mentioned earlier meant that it took longer than expected to set up a database on drug purchases. The numerous publication formats of the documents resulted in that only a part of them could be structured automatically through programming. For this reason, we entered most of the data manually. How did we overcome these challenges? The first answer is: with an interdisciplinary team. We all have different and complementary skills. This helped us to think of a possible data model and, at the same time, sufficiently disaggregate the data for analysis. We did not divide the data input across a large number of people. 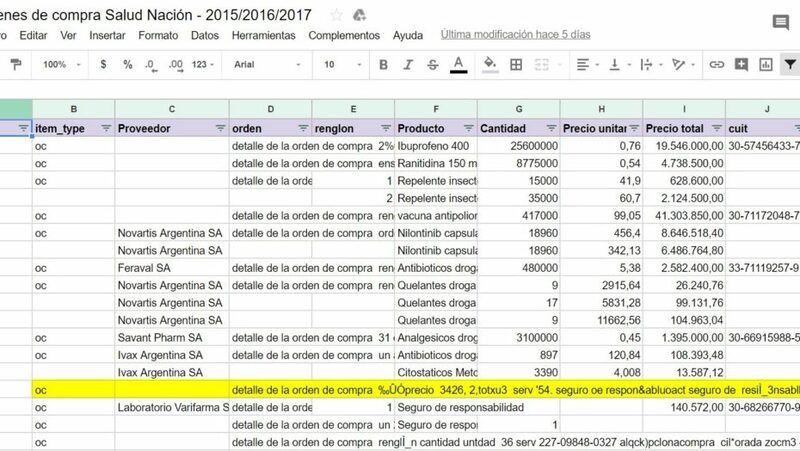 We understood that the learning about how medicines are bought depended not only on reading the regulations or official documents but also on the process of entering the information in a spreadsheet. This process obliged us to read more carefully, to detect possible inconsistencies and to thoroughly assemble each contracting process. And the open data? 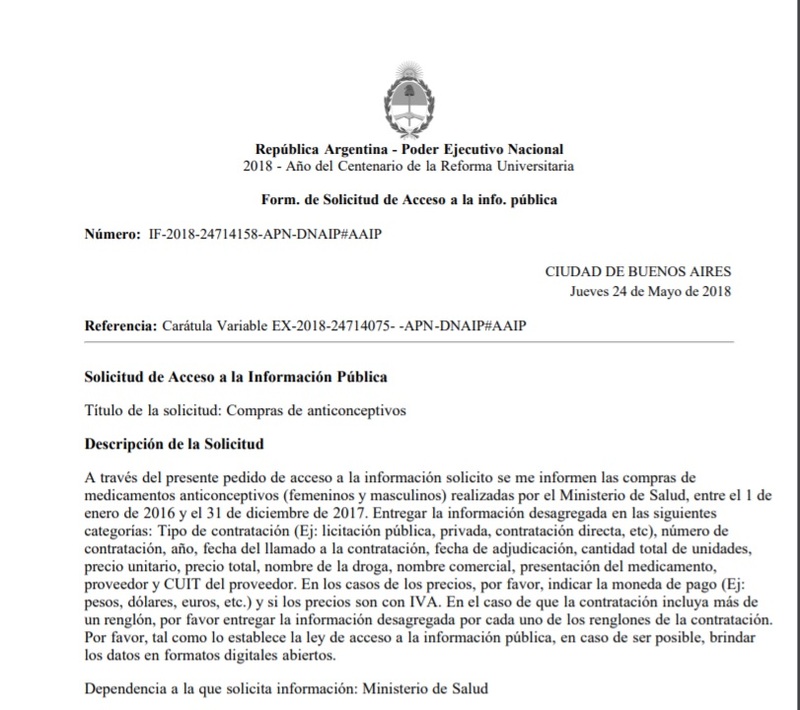 It is true: Argentina’s national government and that of the City of Buenos Aires publish data on public purchases in open formats. But, at the national level, some files correspond to different systems and make it difficult to compare and segment the data. On the other hand, what data is published needs to be disaggregated more. This made a single review of these datasets insufficient to reconstruct a database in a few steps. As for the City of Buenos Aires, it was necessary to work with different CSVs to reconstruct a single contracting process. The high level of technicality also makes organizing the data more complex. All these points led us to resort to the current access to information laws to push for the processes to be improved and to obtain the data in an organized manner. As the project At what price has continued, some of our information requests have already been answered and helped us to rebuild the information on the purchases completely. After all, putting together a puzzle depends not only on the pieces but also on a variety of techniques and strategies.